Subject to change based upon PacMin’s Acceptance of final data and specifications. Desktop: Walnut wood base with aluminum upright. Exhibit Size: Tripod floor stand. Typically chrome, except on extra large stands may be a painted finish. Other custom bases: Available upon request. Modifications to the specification after order is initiated may result in additional charges, schedule changes, and billing of work completed. Customer will be notified of such changes impacting the price or schedule prior to such work being initiated. Customer’s signature on: sales quote, sales order, or purchase order. Customer supply and approval of artwork. For quantities of over 50 units, PacMin will provide a delivery schedule. We will try to work within your schedule if a shorter lead time is needed for a special event. Orders for expedited lead times may be subject to additional charges. Customer will be advised of any such charges prior to work being started. * Lead Times assume we are currently tooled for the product. If tooling is required this time may be longer. Desktop Models – packed in custom fitted foam interior, inside a cardboard packing container. One Way Wood Crates – Are intended for model(s) that will not be repacked after being received and assembled. The model is nested inside the crate with special shipping straps to hold the model safely in place, and screw down crate lid. Re-shippable Wood Crates – Are packed in a “custom fit foam ” or a ” padded wood interior” depending on the type of model. These crates have hinges and latches for multi-use and ease of access. All crates meet international treated wood requirements. Note: Alternate custom packaging solutions are available; contact your PacMin representative for options and pricing. If new artwork is required, our pricing is based on receiving “VECTOR electronic artwork” including color references. If VECTOR art is not available, then the pricing quoted will be adjusted to compensate for added graphics engineering time. Prior to production, you will be provided with a rendering for signed approval. This approval is necessary to ensure that the models are accurate per your specifications. Direct or “native” CAD files in SolidWorks or MasterCam formats, Exchange or “neutral” files in IGES, DXF or STEP formats. Outer surfaces are complete and accurately represent the geometry of the desired finished model. Surfaces and features are limited to only those which will be represented in the finished model. No surfaces and/or features need to be added or subtracted from the CAD data to create the desired finished model. CAD data can be scaled, modified and manipulated without losing the integrity of the geometry. Note: Complete design and CAD services are available from PacMin for an additional engineering fee. Cost to be determined on a case by case basis and quoted as per customer requirements and/or specifications. NAMEPLATES: Standard (one-color) nameplates are available for a $125.00 setup charge plus $10.00 per plate. Multi color plates are quoted upon request. REGISTRATION NUMBERS: Quoted upon request. DROP SHIPMENTS: Quoted upon request. Customer acknowledges that the bill and hold is for customer’s convenience. Customer acknowledges that the goods are billable on the date of actual completion, accepts the invoice as a binding obligation to pay, and will use such invoice date for computing payment terms. Customer is responsible for insuring any goods stored at PacMin beyond 5 days after completion. Customer is responsible for any sales tax that may apply. PacMin will store the held goods at no charge for up to 30 days, after which the following storage charges will apply. $2.00 per cubic foot per month. Cubic feet based size of final, packaged product. Title of Tooling does not transfer to the customer. 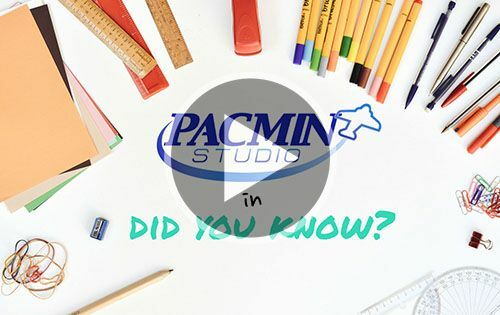 All Tooling and other manufacturing aids are solely the property of PacMin. Desktop Model Orders – Only units with the same aircraft type and marking can be included on a single order. A $200.00 setup charge applies for orders under (6) units. 50% due upon receipt of order and balance due upon receipt of invoice. A 1.5% monthly interest charge applies on past due invoices. Payment may be made by cash, check, money order, or wire transfer. Wire transfer fees, if any, are the responsibility of the Customer. Duties/taxes as well as banking and documentation charges may apply, and are the responsibility of the Customer. All PacMin models are custom made to order. Termination of orders is subject to a minimum 25% cancellation fee plus reimbursement for the actual amount of work completed that is in excess of the 25% fee. Unless otherwise specified, all prices are in U.S. Dollars. Prices quoted in foreign currencies, are based on the currency exchange rate on the day quoted. These prices are conditional on the exchange rates not exceeding a +\- 5% fluctuation within the term of the contract. Any rate fluctuation exceeding 5% will result in a price adjustment being accepted by the customer. Pricing does not include sales tax unless specifically noted. If applicable, sales tax will be added to the final invoice total. Customer’s signature on PacMin’s Quotation document and/or Sales Order document shall constitute its agreement with these terms and conditions. Customer’s placing of a P.O. shall also constitute its agreement to these terms and conditions, even if such purchase order contains a general “entire agreement” clause (which excludes prior written materials).